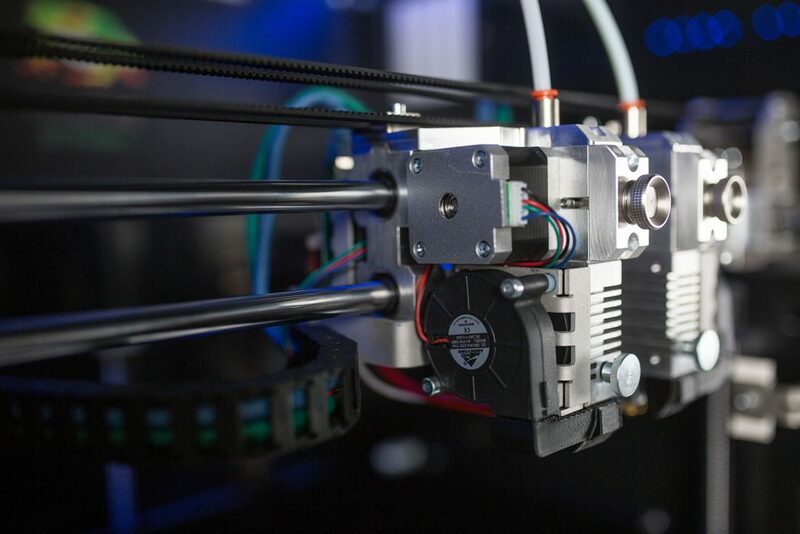 More and more engineering, prototyping, and design companies are adopting 3D printing. They either own a 3D printer or use 3D printing services, outsourcing their projects. Usually, 3D prints are used for visual concepts and for prototypes. However, due to major advances in material science that are occurring each year, professional desktop 3D printer can print stronger and more resistant parts. The Leapfrog Bolt Pro is a professional 3D printer for engineering applications. It is a truly industrial machine that can print with a wide range of advanced materials. Its build strength and volume allows our customers to use it reliably day in and day out for a wide range of engineering 3D prints. Furthermore, its advanced user interface allows seamless integration to the engineering workflow with WiFi access and multi platform compatibility. Typically, desktop FDM printers can mainly print with generic PLA. It is a standard plastic that is great for rapid prototyping but not for functional components. The Leapfrog Bolt Pro is able to print with a wide variety of materials, such as ABS (strong engineering plastic), Flex (3D print flexible material allowing a wide range of moving parts), Polycarbonate (light and chemically inert), HT (high temperature resistant), PET-G (strong and UV resistant), and a soluble support. Additionally, we have implemented in 2019 the best reviewed hot-ends in the market which gives the Bolt access to most filaments in the marketplace today. This gives our users a rather wide gamut of possibilities to create any feasible part possible. In addition, through Leapfrog’s open material policy, the engineer is able to test their own materials as well. 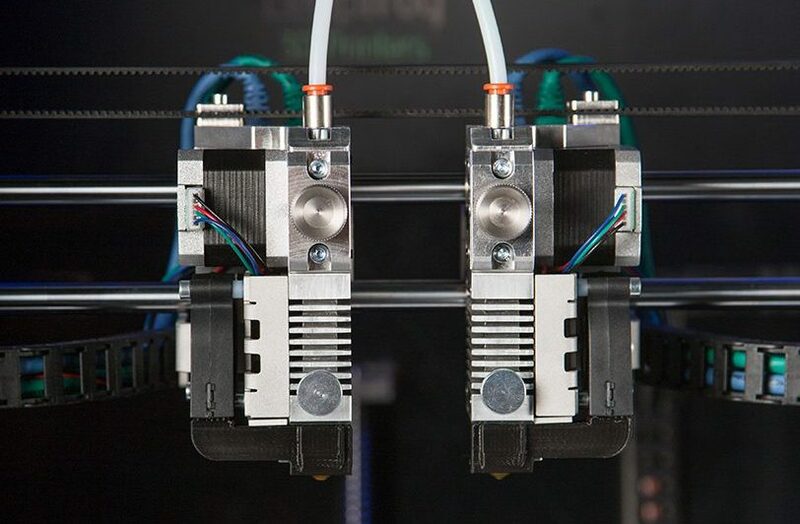 Four key technical innovations allow a wide range of materials to be printed: Independent Dual Extruders, High Temperature hot ends, a direct drive system, and a full enclosure of the built volume for a stable printing environment. The Bolt Pro has several advanced hot ends, which could reach up to 360°C for high temperature engineering materials. To print with abrasive materials, the Bolt Pro has an option for the stainless steel hot ends. Furthermore, the open material filament system allows the end user to experiment with materials, finding the one that works best. A direct drive system controls the filament feed close to the nozzle, allowing optimal control of the material flow. This straight forward system works better than a Bowden set-up, especially when it comes to printing with flexible materials and advanced filaments. Mix two materials in one print using two independent dual extruders. With this system, the user can combine two materials with a large temperature difference. Create complex parts and find new solutions with different filaments. The Bolt Pro is fully enclosed and can maintain a stable temperature of the building room. This provides more control on advanced materials and improves the consistency of the built parts. In addition, any possible toxic gases from exotic materials are filtered out by the activated carbon HEPA filter. The Bolt Pro is designed with the engineering workflow in mind. It will cost valuable time if an engineer needs to spend a lot of time around the printer. With WiFi access, a built-in webcam and full browser access, the 3D printing workflow is easier than ever before. The user interface is Android and IOS compatible, or any other operating system with a browser. Connect and instantly access, and upload directly prints to the Bolt Pro using the WiFi connection. The Bolt Pro is an industrial 3D printer for engineers. It is made out of 5mm sheet metal, and its guiding rods for X- and Y-movement are 12mm solid steel. This makes the machine extremely durable, which you can feel as it weighs over 70kg. Its build area is 330x320mm. With no usage of plastics for the main operational parts, the Bolt Pro is a true industrial machine, built to last.